If your best friend or fellow book club buddy happens to be showing off a plumper-than-normal pout, it isn’t magic – it may be one of the many cosmetic procedures available on the market. Years ago, people with thin lips would rely on dangerous and unproven methods to make their lips look fuller. In fact, several cultures tried silicone or bovine collagen injections until they were deemed unsafe and ineffective, respectively. Because full and youthful lips are an aesthetic desire for many people, the medical field has developed some wonderfully successful ways to get the fullness back. 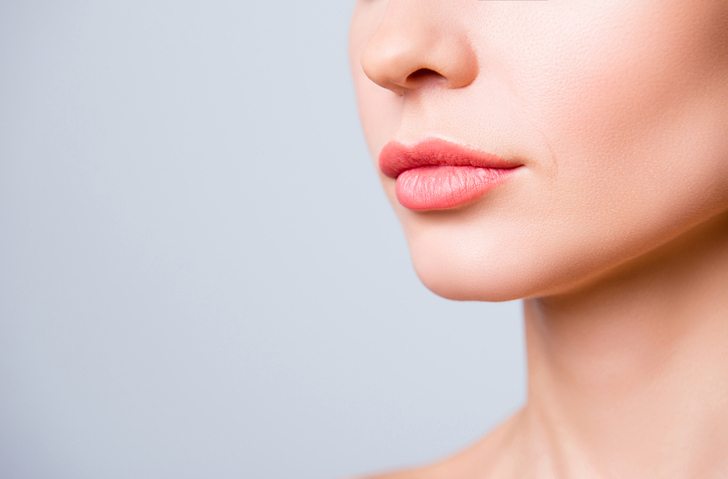 Let’s look at some of the safe and effective modes of lip augmentation for a sultrier pout. Dermal filler injections made from hyaluronic acid (HA) are an excellent nonsurgical, minimally invasive option for plumping the lips. Hyaluronic acid is a powerful humectant, which means that it attracts water molecules to the site of injection – thereby offering a safe and effective tool for lip enhancement. HA is a temporary fix, as its ingredients are metabolized into the body within about six to nine months. However, the procedure can be repeated as many times as the patient and doctor deem appropriate. Can Juvederm Make Me Look Younger? Approved by the FDA (U.S. Food & Drug Administration) in 2006, Juvederm® – a popular type of HA injection – offers unprecedented longevity, safety, quick procedure times, and immediate results. For all of these reasons, it has become one of the most common nonsurgical cosmetic procedures performed in the United States: A whopping 2.4 million injections were given in 2016 alone. Allergan (the makers of Juvederm) designed a full range of Juvederm fillers to cater to each client’s specific needs, whether it be subtle volume or eye-catching fullness. If subtle and smooth is your focus, Juvederm Volbella® XC is an excellent choice. Awarded the Allure® 2017 Best of Beauty Breakthrough Award, it adds delicate volume to lips, while softening the appearance of vertical lip lines. Results from Volbella can last up to one year, making it well worth the visit. Juvederm Ultra XC is another option, offering plumper, more noticeable fullness. Both options have nourishing elements that help deliver nutrients to the skin, so that it can retain moisture and softness. There are also many offerings from Juvederm that are designed to specifically target smile lines. What Can Lip Enhancement Do for Me? Who Can Make My Lips Look Fuller? Northwest Hair Restoration offers a full collection of dermal fillers in the comfort of our convenient offices in Seattle, Tacoma, and Spokane. Dr. Robert Niedbalski and his experienced team will work with you to help you get the look you want. When selecting a physician to administer cosmetic procedures, it’s important to do the same due diligence as if you were looking for any other kind of medical doctor. You will be in good hands with Northwest Hair Restoration, as we employ only the most skilled nursing and medical assistants. Call us today at (253) 572-2949 or fill out our online form to schedule an appointment. We look forward to helping you love what you see in the mirror again!